Below you will find an overview of our current hotel website templates. Click 'Preview' to visit a live demo version of the template or click 'Get demo' to contact us for a demonstration of our templates and Hotel CMS. Please note that we customise the template to the unique characteristics of your hotel during the setup procedure. This results in a unique and alluring website that matches the identity and atmosphere of your hotel. 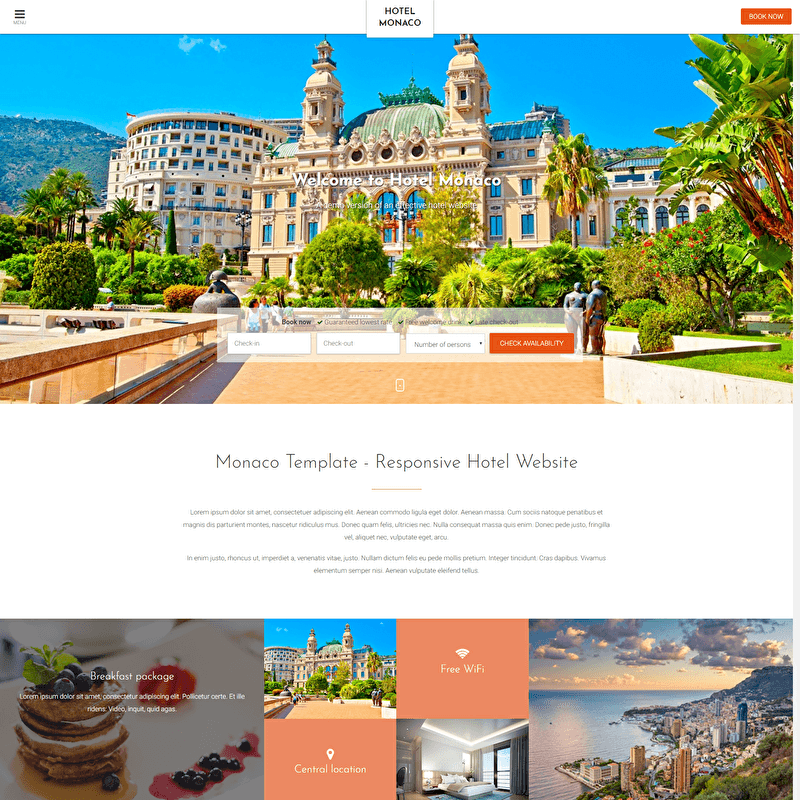 The Monaco Hotel Website template is designed and developed with the 'mobile first' philosophy in mind. The menu collapses on click, and therefore the heading is clean with an emphasis on the high quality heading images. The clear call-to-action buttons make sure that websites based on this template have a high conversion rate. Full screen heading images, a clear navigation with 'book' button, striking reservation panel and the possibility to promote specials and deals within a tessera. 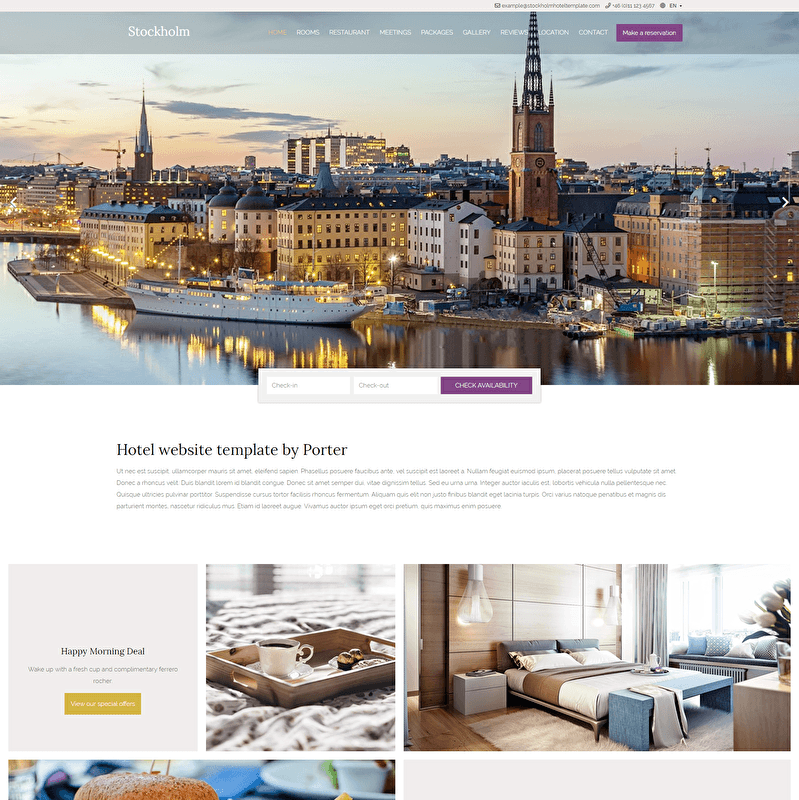 If you are looking for a website template that can offer a broad range of hotel services, then Stockholm is the choice for you. 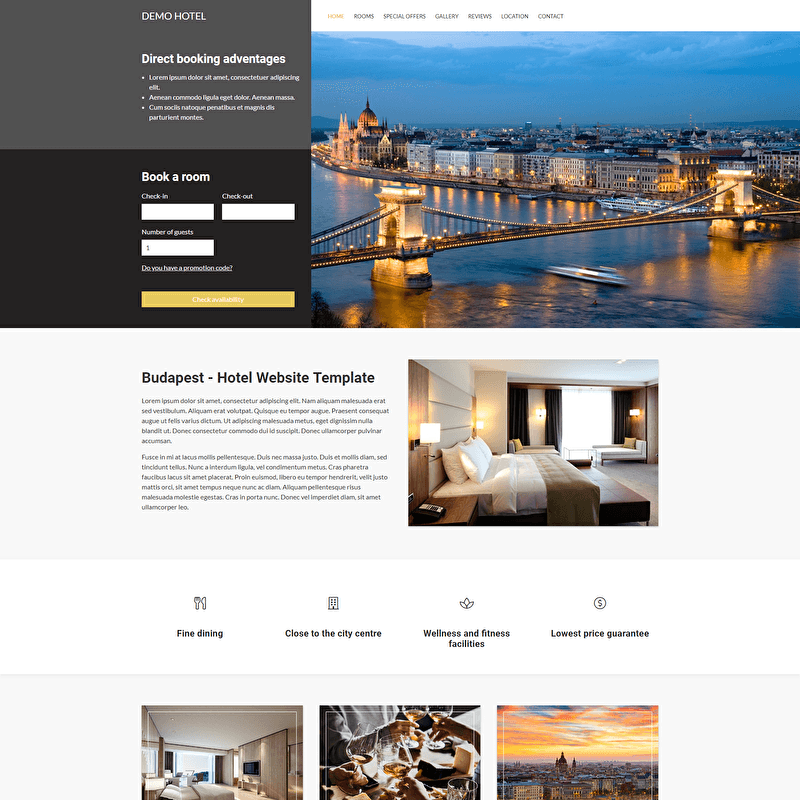 The Budapest template offers hotel the possibility to have a great online marketing tool without the necessity of an extensive range of hotel photos. The clean and user friendly lay-out gives the possibility to generate an increasing number of direct bookings. Clear and simple navigation, full screen heading images, short introduction texts and a mosaic to offer special offers or promote the various services your hotel has to offer. 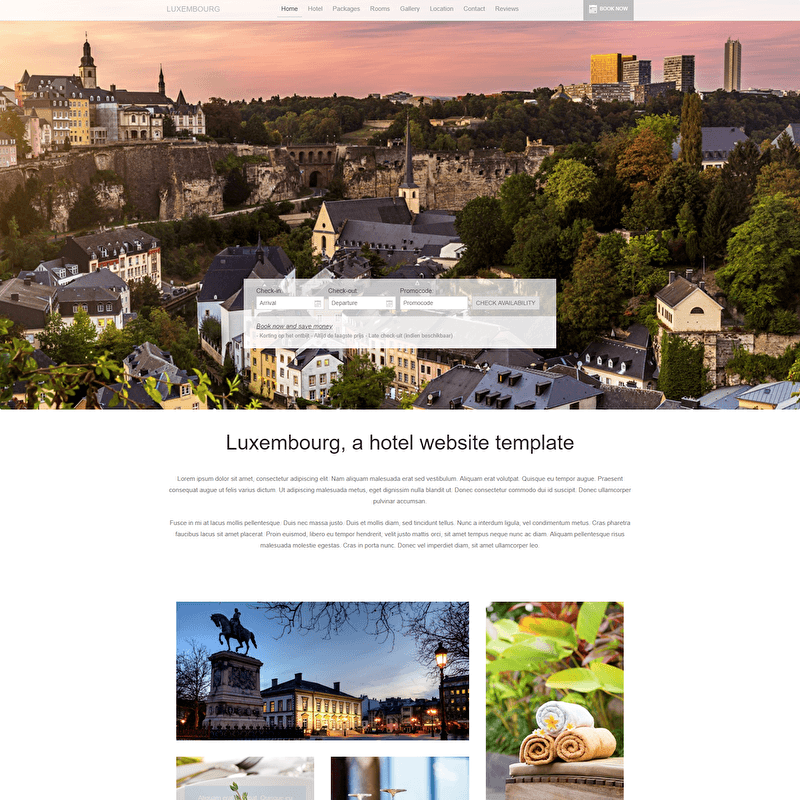 If you are looking for a simple and striking template, Luxembourg is the perfect fit. 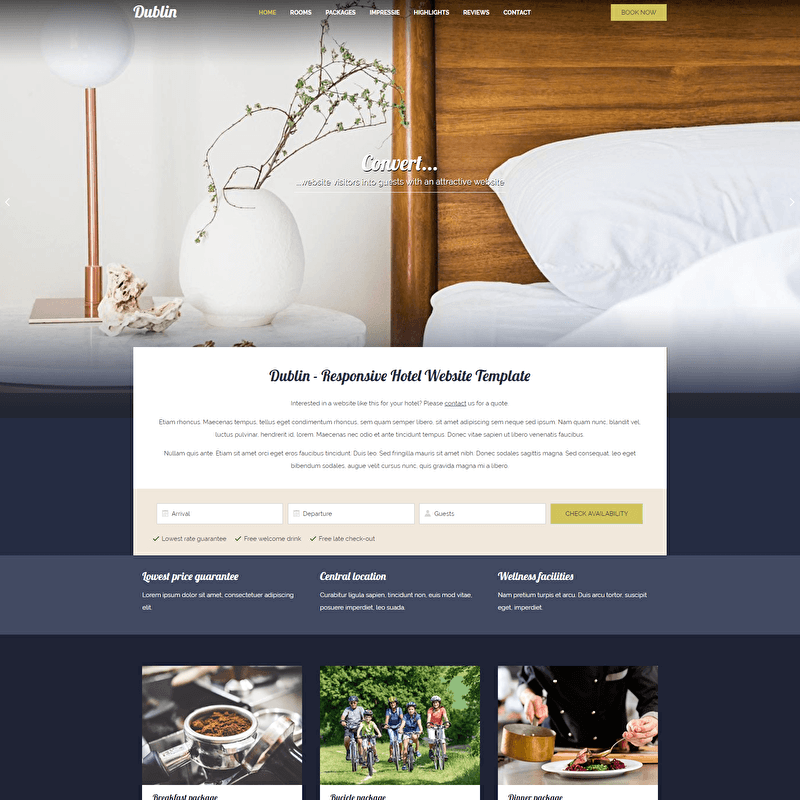 Clear and sticky navigation, reservation panel with the possibility to promote the benefits of direct bookings, promotion blocks for special offers or packages and content blocks to promote various services of your hotel. 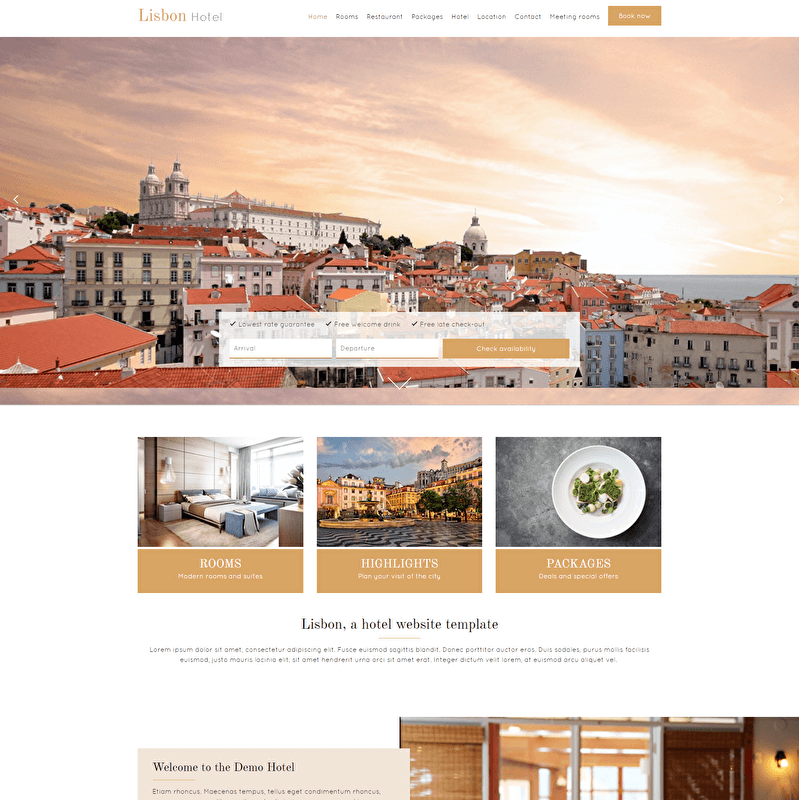 Lisbon is suitable for both simple and more complex hotel websites. Striking heading images that go to the top of your browser window, sticky navigation and a clear call-to-action. Possibilities to promote the unique selling points of your hotel and the packages or various services you offer. Dublin is an ideal template for hotels with a limited number of services. Dublin is optimised for selling rooms and packages.